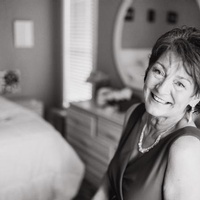 Susan Van Ostenbridge, 57, born in Leary, Georgia, and longtime resident of Bradenton, Florida, died on July 16th, 2018. She is survived by her daughters, Anna & Abi (Spencer); her fiancé, Stephen Mapes & his family Reed, Mary, & Sara Mapes; her siblings, Paula Dean (Lisa Johnson), Jerry Dean (Diana) and Jason Dean (Katie); her two grandchildren, Liam and Harper, & many dear friends. She is predeceased by her father, Gerald; mother, Joan; and Scott Van Ostenbridge. Susan was full of life, love, & laughter. She loved to sing, dance, cook, and spend time with her family & friends. She made friends everywhere she went, made everyone smile, & always wanted to help others. A Celebration of Life will be held at 1 PM on Saturday, July 28th, 2018, at Roser Memorial Community Church with a reception to follow. Brown & Sons Funeral Homes & Crematory 43rdStreet Chapel is in charge of the arrangements. Condolences may be made to www.brownandsonsfuneral.com.